February 28 – Conotoxia has signed as the first local sponsor for the U-20 World Cup Poland 2019. February 27 – Manchester City will visit Japan for the first time in the club’s history this Summer as part of their pre-season preparations and will play fellow City Football Group-owned club Yokohama F. Marinos. 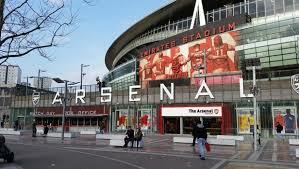 February 26 – Sports technology innovator Fantastec has launched an app for Arsenal fans aloowung them to own and trade genuine digital Arsenal collectibles. 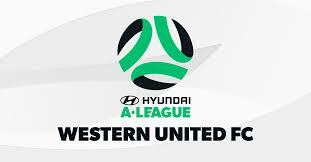 February 25 – Australian club Western United’s decision to not incorporate ‘Melbourne’ in its name could cost Football Federation Australia (FFA) A$5 million in annual TV rights as Fox Sports seeks to challenge its obligation to increase future payments for the broadcasting deal. February 22 – Goalscoring legend Roy Race, the iconic Melchester Rovers striker who has created more ‘wonder moments’ than Cristiano Ronaldo and Lionel Messi combined and has never been convicted of tax evasion, has a new boot deal. February 22 – Paris St Germain have signed Accor’s new loyalty programme – ALL – as the club’s principal partner in a deal that will see the leisure group’s brand replace Emirates on the front of the PSG shirt from the start of next season. February 21 – Spanish clubs are pushing deeper into China via an expanded social media presence with the help if LaLiiga. February 21 – Hotel group Marriott International has rebranded its Rewards programme and relaunched it with the help of a Manchester United partnership to its 120 million members. 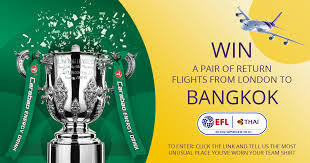 February 19 – The English Football League (EFL) has extended its partnership with Thai Airways of the EFL’s five finals, the first of which – the Carabao Cup – will be played between Chelsea and Manchester City next weekend at Wembley. February 18 – More than half of the English Premier League clubs have signed up to the first SPONSORSHIP ROI EXPOSED conference dedicated to understanding how to report the value of partnerships and sponsorship. 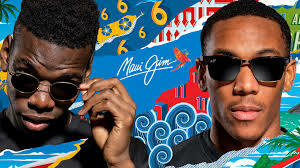 February 18 – They might not be needed too often in Manchester, but Man Utd are never ones to be left in the shade when it comes to sponsorship and have agreed a multi-year partnership with Hawaii-based sunglasses and eyewear brand Maui Jim. 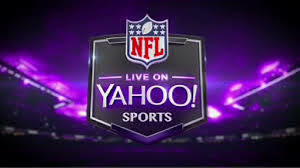 February 15 – Concacaf has taken a deeper step in live streaming with the announcement that 2019 Champions League matches will be broadcast in English on Yahoo Sports platforms, a part of the confederation’s multi-platform media-rights deal with Verizon. February 14 – The European Lotteries Association (EL) has scheduled a meeting of its working group at the Betting on Football Conference at Stamford Bridge, London, March 19-22.